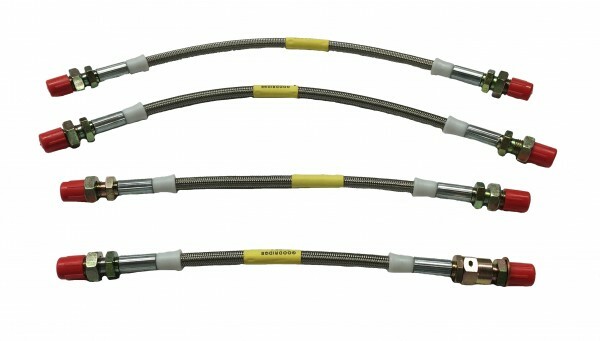 This is a complete set of braided stainless steel brake hoses for a Triumph TR4A IRS, TR250 and TR6 Not sold separately. DOT Approved. Made in UK by Goodridge.